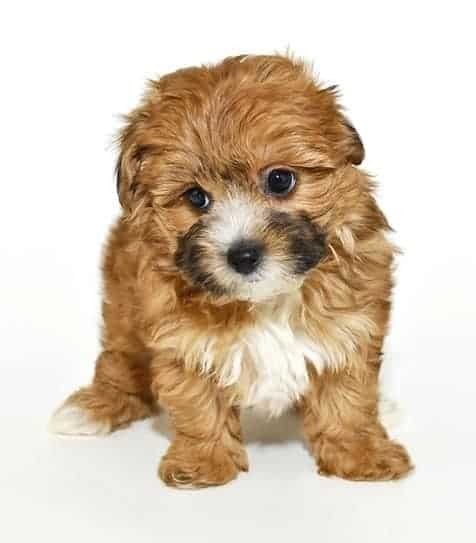 The Yorkie Poo, also called Yoodle, Yorkapoo or Yorkerpoo, is a cross between a Poodle and a Yorkshire Terrier (Yorkie). It is a small dog — most are just seven to ten inches in height, weighing in at around ten pounds (5 Kgs). Their typical lifespan ranges between 12 and 15 years. Poodle mixes are at the forefront of the “hybrid movement”. Hybrids, or crosses, aim to eliminate the health problems associated with deeply inbred purebreds while providing the best of both breeds involved in the cross. The Yorkie Poo, as any owner will insist, is one of the best examples of what’s right about hybrids. As one would expect, the temperament of a Yorkie Poo has features of both the Yorkshire Terrier and the Poodle. The Yorkshire Terrier was bred to be catch rats in the clothing mills of the late nineteenth century England. The Poodle also has significant hunting instincts. As a result, expect your Yorkie Poo to be highly intelligent. He will need more mental stimulation and attention than most other breeds; if he is not satisfied, he could well become destructive and/or resort to incessant barking. Thanks to their active and mischievous nature, the Yorkie Poo does not do well as an outside dog. Most Yorkie Poos love to get the attention involved with cuddling. Just being with you while you converse with your friends satisfies some innate need for attention. Cuddly as they are, it is not a good idea to mix your Yorkie Poo with little children who haven’t yet learned to deal with active, wriggly dogs. A Yorkie Poo can nip a child; also, if a Yorkie Poo is dropped onto a hard surface, it can easily fracture a leg. The average Yorkie Poo is a bundle of pent-up energy. So, besides mental stimulation, he needs physical exercise. 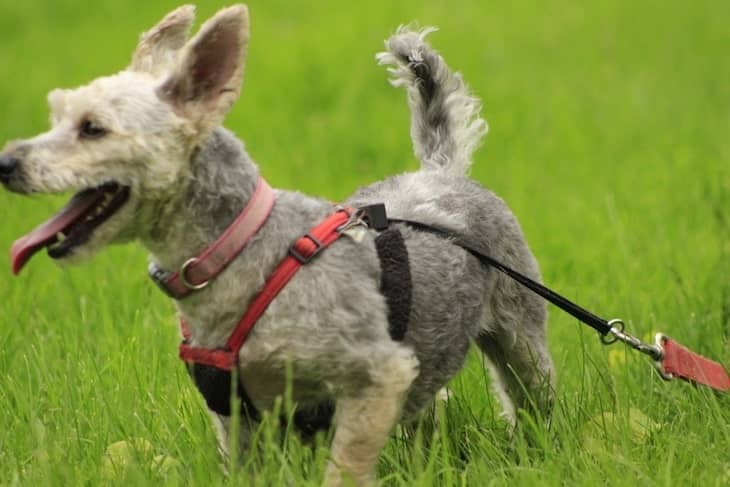 Regular walks in the neighborhood will help him dissipate that energy while also providing the mental stimulation a typical Yorkie Poo craves. And due to their small stature, neighborhood walks should be around 20-30 minutes. The Yorkie Poodle dog loves to play games – whether it’s tug-of-war or fetch. So keep games in mind for when you need an alternative to walks to keep them active and mentally stimulated. The Yorkie Poo temperament lends itself to training. His intelligence allows him to quickly grasp what’s required and he is likely to revel in the social environment. However, getting back to his parentage, remember that his Yorkshire Terrier ancestry had evolved into independent hunters, so if your Yorkie Poo displays stubborn independence you know who to blame. The Poodle, on the other hand, is known for their extreme intelligence – which can be a blessing and a curse. If a Poodle isn’t trained properly, they’ll end up running the household! Yorkie Poo dogs should be trained from the start. And you will need to mix it up to keep them engaged. Once a Yorkie Poo puppy becomes bored with repetitive and boring training, they’ll stop trying to learn and rebel. Use treats and lots of praise to trick your Yorkie Poo into thinking training is fun. Because both the Yorkshire Terrier and Poodle are extremely intelligent, the Yorkie Poo breed will excel in agility and obedience. Socializing is a huge training aspect for this breed. While they are a friendly breed overall, exposing a Yorkie Poodle to different places, animals, and children will help with their confidence. If you keep training sessions short, fun, and full of positive reinforcement, training your Yorkie Poo should be a breeze. Because your Yorkie Poo likes human contact, he will adore his daily brushing. His distinctive “out-of-control” fur will need regular brushing and trimming, especially in the head region. Nail trimming can be a challenge unless you introduce him to it as a pup. For detailed tips to groom your Yorkie Poo click here. Yorkies are prone to dental problems, so it would be wise to commence regular teeth brushing at an early age — veterinarians are increasingly recommending this to owners of all breeds. A Yorkie Poo can take his watchdog role to extremes. If you live in an apartment, you may find that his incessant barking at the slightest sound outside the front door is more than just a source of embarrassment. Early socialization and training are essential to prevent barking from becoming an issue. Go to “Stop Barking”, for a number of tips that will help. Your Yorkie Poo’s independent nature can prove to be a stumbling block when it comes to house training. Patience, persistence, and predictability are key to house training your Yorkie Poo. Keeping house training short and fun is the key to success. Keep in mind that positive reinforcement works much better than negative reinforcement — that is, be generous with encouragement and praise while avoiding sharp words or, horror of horrors, physical punishment. You can find additional tips in the article, “Dog Temperament and Bad Dog Behavior”. Ear Infections. Your Yorkie Poo is more susceptible to ear infections simply because of structural issues — his ear canals are narrow and he has a lot of hair around his ears. Be sure to regularly examine and clean his ears. Skeletal problems. Yorkie Poos rear hip joints are somewhat susceptible to malformations. Additionally, their rear knee joints, specifically their kneecaps, can suffer from instability. Your local veterinarian should be in a position to comment on your pet’s specific susceptibility to these. In many cases, malformations can be corrected surgically. Are you ready to add a Yorkie Poo puppy to your family? You have a couple options when it comes to choosing the perfect Yorkie Poodle dog. You can either purchase one from a breeder or adopt one from a shelter or rescue. With a purebred Yorkie Poo, you will know their complete health and temperament history. You will not always know a dog’s history from the shelter. Keep that in mind when deciding between purchasing and adopting. Before you begin looking for Yorkie Poos for sale, do your research. Are you interested in purchasing a Yorkie Poo puppy from a breeder or looking to adopt one from your local animal shelter or rescue organization? Purchasing a Yorkie Poo from a breeder can cost anywhere from $1200-$1500. The price depends on the location and availability of puppies. The average cost of rescuing of Yorkie Poo is around $250. The cost depends on where you live and the rescue organization or shelter policy. The adoption fee often includes vaccinations, any necessary medical treatment, and spay or neuter. Are you interested in rescuing a Yorkie Poo instead of purchasing a puppy? While not as common as other breeds in rescues, Yorkie Poos for rescue do exist. Do a quick search online for a local Yorkie Poo rescue. There are devoted Yorkie Poos rescues as well as local shelters and rescue groups that will have this breed available for adoption. 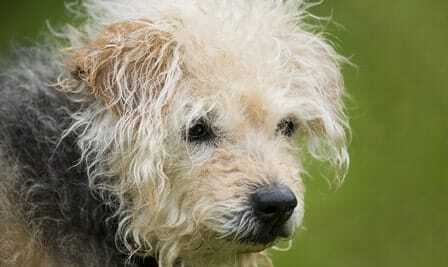 Keep in mind that you won’t always know the dog’s history – especially if they were found as a stray. The rescue or shelter will provide initial medical care where they will test for major medical issues. But, some medical or temperament issues may arise after you bring your rescue home. When it comes to Yorkie Poo breeders, research is your best friend. Find a breeder who is responsible and knowledgeable about the breed. Once you find several breeders that fit your criteria, schedule a visit and ask to see one of the Yorkie Poos parents. Ensure the house and kennels are clean and the dogs and puppies look happy. 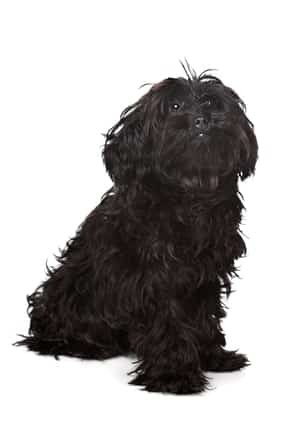 A good Yorkie Poo breeder will genuinely care about their dogs and puppies. They will even quiz you to determine if you will provide a good home and care for their Yorkie Poo. 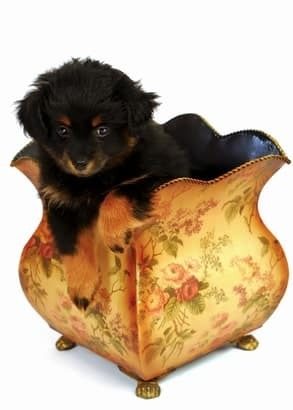 As if Yorkie Poos aren’t cute enough, there is the Teacup Yorkie Poo. A tinier version of the mixed breed, the Teacup Yorkie Poo is a mix between a Miniature or Toy Yorkshire Terrier and a Miniature Poodle. This adorable breed has the same temperament and traits as the Yorkie Poodle, they’re just a smaller version! Chipoo – Chihuahua Poodle Mix. The Yorkie Poo is a lively breed with a fun-loving, affectionate personality. This is a breed that adores humans. Confident yet easygoing, the Yorkie Poo temperament is intelligent, loyal and it's the ultimate companion dog. Previous post: Pitbull Temperament – Is the Aggression All Hype or Real?